Intelligencerfeature November 1, 2015 9:00 p.m.
<span>In what may be his last political act, he is trying to stop</span> Corporate America from co-opting the legal marijuana trade. Backstage at Farm Aid is a hidden city. You enter through a guarded gate just north of the concert pavilion, leaving behind the woozy crowd and vendors hawking organic snacks, then you drift through a gaggle of agitated assistants, past the roadies bustling about, and you follow a trail of golf carts heading for the residential district, where dozens of tour buses have been crammed together to accommodate the sheer number of headlining acts, with John Mellencamp’s people over here and Neil Young’s entourage there, with Dave Matthews and Kacey Musgraves and Jack Johnson each presiding over a small convoy of RVs, which you slip between and among, ducking down the narrow alleys, until at last you burst into the enormous plaza that surrounds the Honeysuckle Rose. The Rose is parked just slightly akimbo, with its front wheels cocked to one side. It is a 45-foot Prevost X3 with a 334-inch wheelbase, which is the same model used by President Obama during the 2012 campaign or, to put it another way, it’s just about the sweetest ride a tour bus can be. * Unlike the president, Willie Nelson doesn’t require a lot of armored plating. He keeps an old Winchester rifle onboard, tucked into a cabinet over his bed, but otherwise the custom details of the Rose tend to be personal, pragmatic touches, like the twin biodiesel generators he installed in the under-floor compartment, with a special exhaust line that runs through the roof to avoid drowning the bus in fumes. Today, a crisp September afternoon under the yawning Illinois sky, there is a far more pleasant smoke wafting about the plaza — billowing, in fact, from every crack and gap in the carapace of the Rose. That’s because Willie is onboard, wailing on a monster spliff. Well, not just a spliff. More like a medley of miscellaneous marijuana. At 82, Nelson is a slightly shrunken figure, just over five-foot-six, with ramrod posture and shoulders so abrupt that his black T-shirt appears to be suspended from a pair of broomsticks. His long gray hair frames a lean gray face as rutted as a distant moon, and he is sitting, as he usually does, in a chair beside the refrigerator and cabinets where he and his wife, Annie, hoard the stash. Annie is perched a few feet away, at the end of a long bench, tousling the hair of their 26-year-old son, Lukas, who is lying down with his head in her lap. The décor of the Rose is what you might call “Seventies Luxe.” There’s a lot of dark leather piled into pleats and dark wood carved into extravagant spindles. On the table in front of Willie is: a vase full of pencils, an orange lighter, a smattering of pre-rolled doobies, an ashtray cluttered with the remainders of joints gone by, a dish of loose cannabis caked with kief, three slim vaporizers of marijuana extract, and a deck of black playing cards printed with the words WILLIE’S RESERVE in saloon lettering. The problems in American farming 30 years ago were as intractable as they were abundant. Trapped in a cycle of rising interest rates, plunging property values, volatile markets, and drought, thousands of families found themselves sliding into bankruptcy and foreclosure. The suicide rate among midwestern farmers surged to twice the national average, and it sometimes seemed as if whole communities in the Corn Belt were either broke or dying. “We were losing like 300 farmers a week,” Nelson says now. The idea to throw a benefit concert first hit him on July 13, 1985. He was in Philadelphia to play the Live Aid fund-raiser for victims of the famine in Ethiopia, when Bob Dylan took the stage and suggested that some of the proceeds might be shared with U.S. farmers. The organizer of the concert, Bob Geldof, dismissed that proposal out of hand, later saying that it was “crass, stupid, and nationalistic” to conflate the two issues. But the whole thing got Nelson thinking. A few weeks later, he was at the Illinois State Fair having a bowl of chili and a beer with the governor, Jim Thompson, when he brought up the idea again. A month later, they pulled it off at a stadium in Champaign. The performers included B.B. King, Johnny Cash, and Loretta Lynn. They raised $9 million that year. They’ve been at it ever since. In fact, the impact of Farm Aid is difficult to convey. The past three decades have seen a radical shift in American attitudes about food. The project of supporting local farmers is by no means finished business, but if the modern supermarket tells us anything, it is that trend lines are going Nelson’s way. Tart little ugly apples and honking tomatoes have pushed their way onto shelves once dominated by the produce Borg; the “organic” label has become de rigueur to a whole swath of consumers; and the forces of Big Agriculture have, like Big Tobacco and Big Pharma, fallen into widespread disrepute. It is easy to forget that just 30 years ago, basically nobody was talking about these things, and that Nelson as much as anyone helped to mobilize the local-food movement. But now, as he enters the final phase of his life, Nelson is gearing up for a different battle. He has been a vocal advocate of marijuana legalization for more than half a century, but he has watched the last few years unfold with a combination of joy and dread. Even as the country has softened its stance toward marijuana, a legion of large corporations has gathered to dominate the legal market. Nelson figures he has at least one good fight left. In what may be his last political act, he is declaring war on Big Pot. By way of first principles, let us pause to establish that legalization is here. That fight is over; legal weed has arrived; all that remains is for the last chips to fall. Some form of marijuana has already been approved in 23 states, and roughly 80 percent of the American public currently favors medicinal use. Support for recreational pot has also been rising over the past decade, with more people in favor of full legalization than against it for the first time in 2011. The following year, Colorado and Washington became the first two states to permit recreational use: It is now perfectly legal in both places to shamble into a dispensary, plunk down a stack of crinkly bills, and purchase a bag of high-grade weed for no loftier purpose than to get high. Last year, Oregon and Alaska approved similar measures, and this month, the bellwether state of Ohio will vote on a proposal to join them. Next year, at least five additional states will ­consider the same question, while another dozen are working on comparable ballot initiatives, and in 15 states and Washington, D.C., possession of the drug for personal use is no longer a crime. The consensus among doctors has returned to where it stood eight decades ago, when the American Medical Association loudly opposed the decision to make pot illegal in the first place. Even the federal government is beginning to change course: Early this year, President Obama predicted that if enough states decriminalize marijuana, Congress might remove it from the list of Schedule I drugs, and he has informed officials in Washington and Colorado that the Justice Department will not prosecute anyone who complies with state laws. Already, industrial pesticides have turned up on thousands of legal marijuana plants, but no one knows exactly how dangerous this might be for consumers. Nearly all of the standards, studies, and guidelines for American agriculture — not to mention enforcement — are provided by the federal government. Before a pesticide can be applied to any other crop, for example, the Environmental Protection Agency must specifically approve the use of that chemical on the plant in question. As various crops proceed through harvest, production, packaging, and distribution, a host of other federal agencies, like the Food and Drug Administration and the National Institutes of Health, also play critical roles in defining safety standards. But under the federal ban on marijuana, none of these agencies has engaged with the pot industry in a meaningful way or conducted the usual studies. Because there are no pesticides currently approved for marijuana, many pot growers have been using whatever chemical they like. Whitney Cranshaw, a professor of entomology at Colorado State University and one of the state’s leading experts on pesticide application, told me that some of the chemicals being sprayed on pot plants these days are so noxious they will make your skin crawl. The first thing you notice when you smoke weed with Willie Nelson is how much weed Willie Nelson smokes. Lots of stoners get high all day, but Nelson’s intake is stratospheric. At any given moment, he will have multiple joints burning, along with an assortment of vapes and pipes, all of which he seems to puff simultaneously like one of those multi­armed Hindu gods, whiffing and wheezing through the fog as if trying to minimize his exposure to fresh air. This begins to add up when you do the math. Nelson has spent the past 60 years touring the American landscape; the current version of the Honeysuckle Rose is the fifth tour bus to bear its name; each of the buses has crossed the country dozens, if not hundreds, of times; and even now, in his ninth decade, Nelson spends about 150 nights each year on the road. Just about everywhere he stops for the night, he is greeted by a welcoming party of local growers, many of whom have been visiting him on the Rose for years and are eager — one might say determined — to give him a taste of their best grow. Nelson has developed, then, what may be the most expansive network of marijuana suppliers in the country, and as a daily pot smoker leading the unfettered life of a meandering troubadour whose habits are a secret to no one, it is distinctly possible that he has smoked more high-grade weed over the past six decades than anyone else alive. I first met Nelson this summer behind a casino in Atlantic City. He was passing through town to play an outdoor concert, and I joined him on the Honeysuckle Rose to discuss his plans to open a marijuana company and to sample a few of his favorite strains. He had announced the new company in March, but other than the name Willie’s Reserve, nobody seemed to know much about it. 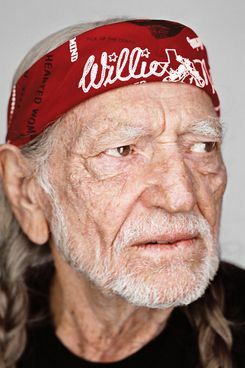 There was still a lot of confusion, for example, about whether “Willie’s Reserve” referred to a new strain of weed that Nelson’s friends had developed, or if it was a complete line of cannabis products, or maybe he was opening a collection of retail stores where you could buy and smoke and chill. I confess to having approached that first meeting with some measure of trepidation. I have spent plenty of time around weed and, like many people, have enjoyed my share. But I am not a frequent smoker and rarely take more than a hit or two. The prospect of crawling into Nelson’s lair to consume the strongest marijuana known to civilization, then trying to conduct a coherent interview, did not sound especially mellow. This discovery frankly thrilled me. Too many pot smokers these days have gotten fussy about their weed. In the same way that modern foodies have eroded the simplicity of homegrown food, leaving behind its rustic roots for a universe of prickly, esoteric greens and incomprehensibly expensive mushrooms, turning local food into a temple for snobs and picky eaters, I have noticed a similar tendency creeping into the conversation around pot — with inflated descriptions of bud density, room-note, fruity undertones, and heritage genetics, usually proffered in the grandiose vocabulary of the dismal jerk who flips out over wine. Nelson was after something simpler. He just liked getting high. He may be one of the most famous stoners on Earth, with a tolerance to fell giants, but he is not, strictly speaking, a marijuana connoisseur. As we began to discuss his plans for Willie’s Reserve, I realized how important this fact was. 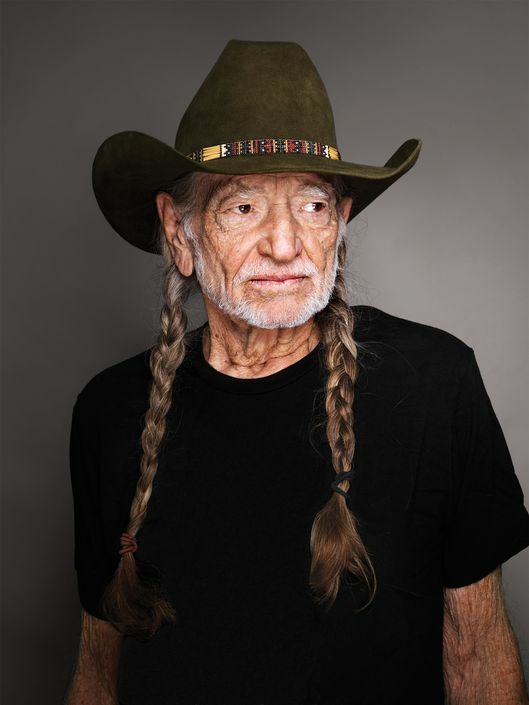 Willie being Willie, he could throw out a punch line to explain why he wanted to open the pot business, usually delivering some version of the line “I’ve smoked enough and I want to give back.” But the truth was something deeper and more important. He really hadn’t started the company for his own amusement, or to make money, of which he has plenty. The truth was that he wanted to preserve his legendary stash — to keep it clean, keep his growers in business, and keep Big Pot off his turf. He wanted to protect the plant he smokes every day from the corporate influence he’s been fighting all his life. One story in particular illustrated this. Last year, when a group of investors first approached Nelson with the idea to start a pot company, he invited the group’s leader, Andrew Davison, to a meeting at his ranch in Texas. Davison told me that he arrived for the meeting at 11 on a Saturday morning, and as he set up his laptop on Nelson’s kitchen table, he planned to pitch the marijuana company as a straightforward business that would tap into Nelson’s authenticity and reputation as a lifelong stoner. Legal marijuana is the fastest-growing industry in the United States, with 74 percent growth in 2014, according to a recent study by the ArcView Group, a Silicon Valley investment research firm. Last year, it generated $2.7 billion in sales and delivered more than $200 million in tax revenue to the legal states. In Colorado alone, the $88 million raised from pot was more than double that from alcohol. 1. Diego Pellicer is currently buying and leasing retail space, which it then leases or subleases to local marijuana companies. 2. It designs the layout and is allowed to acquire the company overnight. 3. As soon as marijuana is federally legalized, Diego Pellicer will have dominated the retail landscape. 1. Privateer Holdings brokered an agreement with Bob Marley’s family to license his name and image for their products. 2. At first the Marley Natural brand will roll out federally legal swag, like body lotions and accessories, to build brand awareness. 3. Privateer has also purchased Tilray, a 60,000-square-foot farm in Canada that grows medical marijuana, and a model for when the U.S. federal ban is lifted. 3. 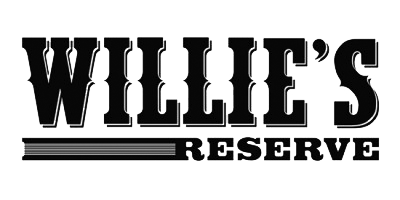 Because they exist in states that have already legalized marijuana, the Willie’s Reserve brand plans to sell weed starting in January. For producers of the plant, these state taxes are only a light beginning. Federal law poses a far more onerous tax burden. That’s because marijuana falls under an obscure section of the tax code, which makes it nearly impossible for companies to report their earnings like a normal business. Among other things, they may not deduct their operating expenses, such as rental space, employee salaries, and the cost of growing equipment, without which some producers are paying an effective federal income tax of 70 percent. Many large banks have also refused to let marijuana companies open accounts, leading to an industry awash in cash, obscure accounting methods, and armed guards. The legal minefield is just one of the reasons that Big Tobacco companies like Altria and R. J. Reynolds have said they are not planning to enter the Green Rush anytime soon. Wall Street, however, has been far more willing to experiment with marijuana, and several investment firms, like Viridian Capital Advisors, have sprung up to tap the burgeoning market. The two largest marijuana companies for now — Privateer Holdings, the Bob Marley label, and Diego Pellicer, the would-be Starbucks — have both embarked on long-term strategies to develop massive growing operations, while also maintaining a short-term caution in light of the federal ban. At Diego Pellicer, this has meant a plunge into, of all things, real estate. As the company’s CEO, Ron Throgmartin, explained this, Diego Pellicer’s core business at the moment is to acquire retail space and then lease it to local pot companies. “We do not, and will not, profit from the sale of marijuana until it’s federally legal to do so,” Throgmartin said. 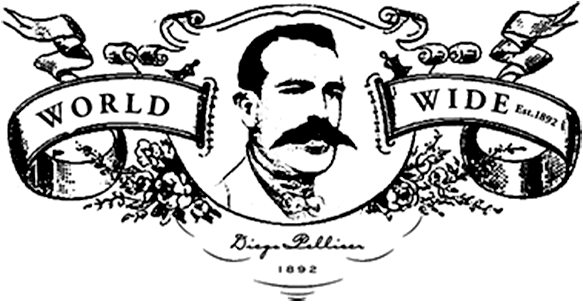 “As we wait, this company stands on solid real-estate principles.” Those real-estate principles turn out to involve a peculiar contract with tenants: The company leases space to those who are willing to let Diego Pellicer design their store layout and who will allow Diego Pellicer to take over their store in the future. “They are just a subtenant,” Throgmartin explained. “We will secure the real estate, we will lease the real estate, we will do the build out, and we have a future-acquisition agreement that allows us to roll their operation into Diego Pellicer Worldwide. When it becomes federally legal to do so, we have the ability to acquire them overnight.” For its part, Privateer Holdings has yet to issue any “Marley Natural” marijuana, but the company has invested heavily in the ancillary markets — buying the prominent website Leafly, which is a kind of Yelp for marijuana reviews, and preparing a rollout of Marley swag, including body lotions and handmade accessories adorned with the corporate logo. “During the gold rush, there were people who dug for gold, and people who sold picks and shovels,” Throgmartin said. “They’re selling picks and shovels.” But with an eye to the long-term, Privateer has also purchased the Canadian company Tilray, which grows medical marijuana in a 60,000-square-foot facility in British Columbia. Whenever the U.S. federal ban is lifted, the company will be able to source its cannabis from a similar facility in the States. Davison, who is now the CEO of Willie’s Reserve, had been wrestling with all of these issues, and I met up with him at Farm Aid to hear what he had in mind. He is a tall, athletic man with a ready smile and the sort of mountain-preppy vibe that one encounters in the pages of a Patagonia catalogue. Before starting Willie’s Reserve, he worked for the clothing companies Pearl Izumi and Crocs and served on the advisory council of the National Outdoor Leadership School. At Farm Aid, he was presiding over a far less wholesome enterprise, if no less fun: A few slots away from Willie’s bus, he had parked a tasting room for Willie’s Reserve. That bus turned out to be a prior version of the Honeysuckle Rose, but in at least one respect, the old bus had a leg up on the new one. Nelson’s had a lot of weed; Davison’s had little else. There was a riot of the stuff: stacks of perfectly rolled joints with cardboard filters and twisty tips, Mason jars crammed with cannabis of all shades and scents and varietals, and an assortment of tin cans brimming with monstrous buds the size of a baby’s arm. There were convoluted water pipes of blown glass, a stack of cocktail napkins printed with the words PUFF. PUFF. 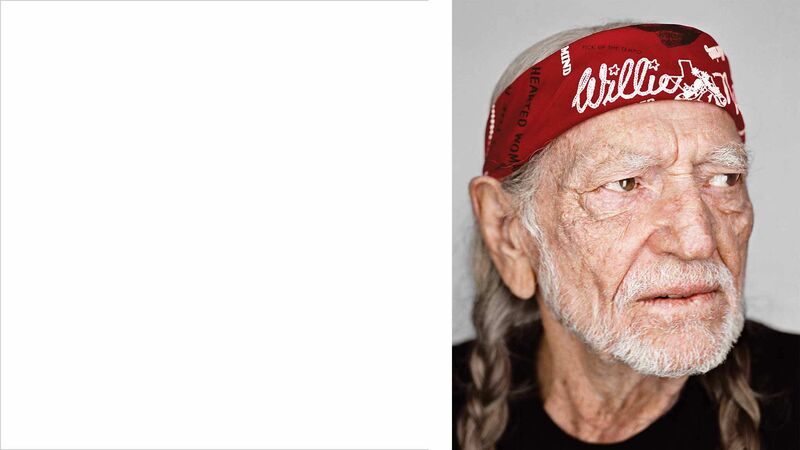 GIVE, and, propped against the wall, a sign that said WILLIE’S RESERVE IS FOR SHARING above the hashtag #sharethestash — as if rolling around the country with mountains of marijuana was nothing to keep discreet. I took a seat on the bus as Davison packed a bowl with a particularly lime-hued varietal, then we retired to a sofa to chat about his plans for the new company. He acknowledged at the outset that building a national company in accord with Nelson’s standards has been vexing. In addition to all the peculiar problems that face a small pot grower, a litany of other obstacles confront a national brand. Foremost among these is the problem of interstate transport. The Obama administration has been clear that it will not allow producers to distribute pot across state lines, which makes it virtually impossible for Willie’s Reserve to market a consistent product nationwide. A grower in Colorado might develop a mesmerizing new strain of weed, but there is no legal way to reproduce it anywhere else: No plant, seed, clone, or cutting can leave the state. “It means you have to look for alternative ways to set up the company structure,” Davison said. The business model he was developing, he explained, is “a hub and ever-growing wheel.” By this he meant that the brand will consist of a national holding company and will form partnerships with smaller companies to manage the individual states. Unlike the model at Diego Pellicer, Davison has no interest in acquiring those local companies and prefers for them to be small owners operating privately. To maintain consistency, he will establish standards for potency, environmental impact, and organic growing methods, and in exchange for adherence to these guidelines, Willie’s Reserve will provide the growers with access to a network of internal support systems, including advice on how to organize and operate a small business. It’s also something that investors have bought into. As we sat together at Farm Aid, Davison had just closed the company’s first major deal: After ten months of negotiation, he had secured several million dollars in financial support from a cannabis investment firm, Tuatara Capital, whose chairman, Mark Zittman, and chief investment officer, Al Foreman, told me they were entirely onboard with Davison’s do-gooder approach. “At some point, we believe there will be an agency tasked with regulating safety standards,” Zittman said. “And when those standards are put in place, our goal is for Willie’s Reserve to be well inside standards.” Other companies, Foreman added, won’t be ready when the federal government steps in. “As standards come into play, and more rules and regulations become common, there are a number of operators in the industry who will have to change their basic blueprint,” he said. *This article has been corrected to show that Nelson's tour bus has a 334-inch wheelbase, not a 334-foot one. Yesterday at 5:33 p.m. Should Democrats Impeach President Trump? Yesterday at 4:12 p.m. Has Joe Biden Lost His Ability to Unite Democrats? Yesterday at 3:15 p.m. Cuban Players Helped Build the Modern MLB. America Doesn’t Want To Help Them. For decades, Cuban players have risked everything to play baseball in America. The Trump administration has canceled a plan to make it safer for them. Yesterday at 10:35 a.m. There Was No Russia Conspiracy. But Trump Is More Dangerous Than Ever. 4/18/2019 at 7:01 p.m. Trump Deserves Impeachment. But Should the Democrats Do It? 4/18/2019 at 5:52 p.m. Rick Hasen on Why Mueller Should Have Gone After Don Jr.
4/18/2019 at 4:51 p.m. Did Donald Trump Jr. Break Computer Law?